Africa will unite despite the obstacles it has faced for many centuries with the Pan-Africanism movement as a foundation. The effort to achieve this unity encompasses the need for Africans at home and in diasporas around the world to go back to their roots, sources, customs, and traditions as well as to regain and embrace their past and identity. Indeed, the current era of knowledge, the information society, ICTs, and globalisation offers great opportunities to achieve the well-planned goals related to unity articulated in the African Union’s Agenda 2063 document. The date stipulated in this document was chosen to mark a century since the launch of formal Pan-Africanism, which was achieved with the creation of the African Unity Organisation in the year 1963. ATOE (African Traditions Online Encyclopedia), an ICT tool created to preserve African traditions, is our contribution to this united Africa vision and goals. It naturally integrates itself into the Pan-Africanist world movement, offering a way to help achieve the goal of a united Africa in 2063. Pan-Africanism is seen as an endeavour to return to what are deemed by its proponents as singular, traditional African concepts about culture, society, and values. By the early 1970s, it had become relatively common for African Americans to investigate their African cultural roots and adopt African forms of cultural practice, especially African styles of dress. Africa boasts a well-known oral culture comprising myths, legends, folk songs, folk tales, and proverbs that are inextricably linked to dance. It is transmitted by griots (walking dictionaries), storytellers, and verbal artists, and is still actively involved in preserving Africa’s native culture in its manifold forms. As components of tradition-oriented societies, Africa’s customary celebrations, lifestyles, manifestations, and relationships have been characterised as valuing filial piety, harmony and group welfare, stability, and interdependence. Africa has unique arts and crafts and sculpture that are eternal, as well as a myriad of thousands of unique languages, each embodying a corpus of powerful indigenous knowledge that is useful and supportive of human life. African traditions comprise progressive laws for women (despite opinions to the contrary), youth, and men. Sadly, though, it appears that the great majority of Africans have lost their roots and their native identity. The ATOE project’s scope, therefore, treats Africa as both the physical provider and origin of these traditions, and as their primary beneficiary. Given the Continent’s historical and traditional position as the cradle of humanity, it has clearly disseminated its cultural wealth throughout the rest of the world. Therefore, the African Traditions Online Encyclopedia (ATOE) project has among its goals the restoration of the original identity of Africans, Afro-Americans, Afro-Europeans, and Afro-Asians. This unique online environment is a free electronic encyclopaedia on African traditions for Africans and all of humanity to which contributors from among all African peoples and tribes, communities, and nations will provide valuable, high-quality electronic and multimedia content in all African languages and international tongues spoken broadly in the various countries. Our motivation in creating and managing it is based upon our view that African traditions have numerous aspects that can contribute to solving problems in today’s troubled and confused world. The headquarters and main technical infrastructure of the ATOE project has been established in a rural area of Cameroon, in the village of Ndjock-Nkong. This renders its impact greater, as the rural environment is the natural area in which numerous traditions are still alive. This location best fits the subject of the project and brings about increased interest. Installing a high-speed internet connection infrastructure in the landlocked rural area has proven an unprecedented source of development, with services including telecommunications and rural radio broadcasts helping to close the digital divide. We kindly request contributors to the African Traditions Online Encyclopedia (ATOE) to produce great amounts of content and hundreds of thousands of excellent articles from Africa’s rich, millennia-old traditions, customs, culture, and history. This will assist the project in achieving a high profile and international recognition. 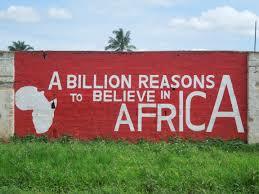 The content is available freely to all Africans anywhere, and to any people worldwide, in the language they prefer. Your efforts will help ATOE achieve a respected profile and international recognition. Gaston Donnat BAPPA ba Matimbhe, specialized on rural development. Come to exchange with Gaston Donnat BAPPA over the thorough African Traditions Online Enciclopedia (ATOE), internationally recognized as African Wikipedia, during his presentation on Friday, 28 September.